the second edition refers to the related notion of "incremental design"). Like many elements of XP, it's a sharp contrast to elements of the widely held principles of software engineering in the late 90s. At that time there was a big push for careful up-front planning of software development. At the moment, the team is working on updating the pricing component to add support for risks from storms. They know that in six months time, they will need to also support pricing for piracy risks. Since they are currently working on the pricing engine they consider building the presumptive feature for piracy pricing now, since that way the pricing service will be complete before they start working on the sales software. The common reason why people build presumptive features is because they think it will be cheaper to build it now rather than build it later. 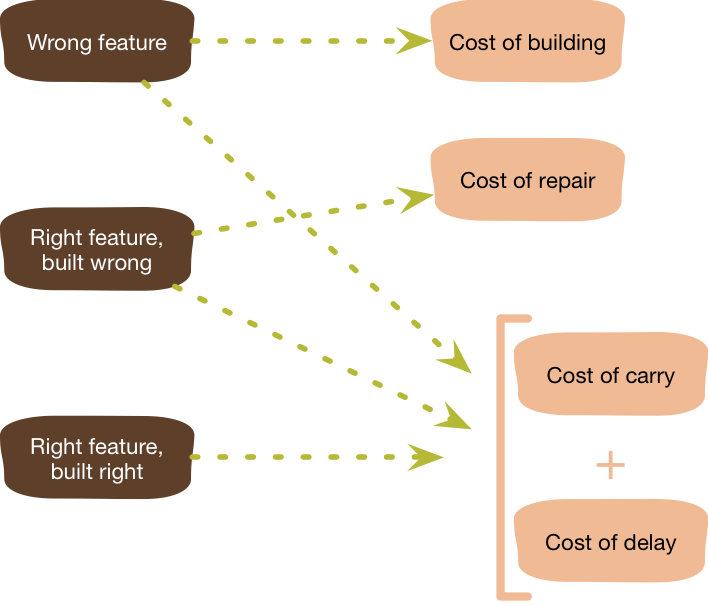 But that cost comparison has to be made at least against the cost of delay, preferably factoring in the probability that you're building an unnecessary feature, for which your odds are at least ⅔. Often people don't think through the comparative cost of building now to building later. One approach I use when mentoring developers in this situation is to ask them to imagine any refactoring they would have to do later to introduce the capability when it's needed. Often that thought experiment is enough to convince them that it won't be significantly more expensive to add it later. Another result from such an imagining is to add something that's easy to do now, adds minimal complexity, yet significantly reduces the later cost. Using lookup tables for error messages rather than inline literals are an example that are simple yet make later translations easier to support.